Snimon + Winning Percentage: 40%! Revolmon + Winning Percentage: 40%! A silver arts master who has awakened to the Vaccine attribute! 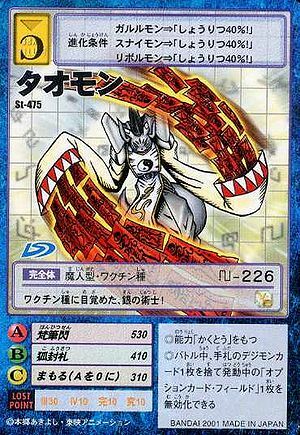 ◎During battle, you may discard one Digimon card from your hand and invalidate one currently active Field Option card.